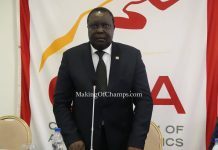 The last day of the athletics event of the West Africa University Games (WAUG) taking place at the University of Port Harcourt (UNIPORT) witnessed some upsets, as the duo of Alaba Akintola of the Federal University of Technology, Akure (FUTA) and Balikis Yakubu of the University of Lagos (UNILAG), against the odds, soared to victory in the men and women 200m titles. 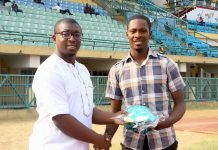 After winning the men’s 100m title two days ago and setting the fastest time during the semis, Enoch Adegoke of the Obafemi Awolowo University (OAU) came into the 200m final all geared up. However, Akintola has other ideas, as the FUTA student led from start to finish, winning in 21.45s. Adegoke settled for Silver after clocking 21.49,while Peter Edwin of UNILAG took home the Bronze in 21.70. 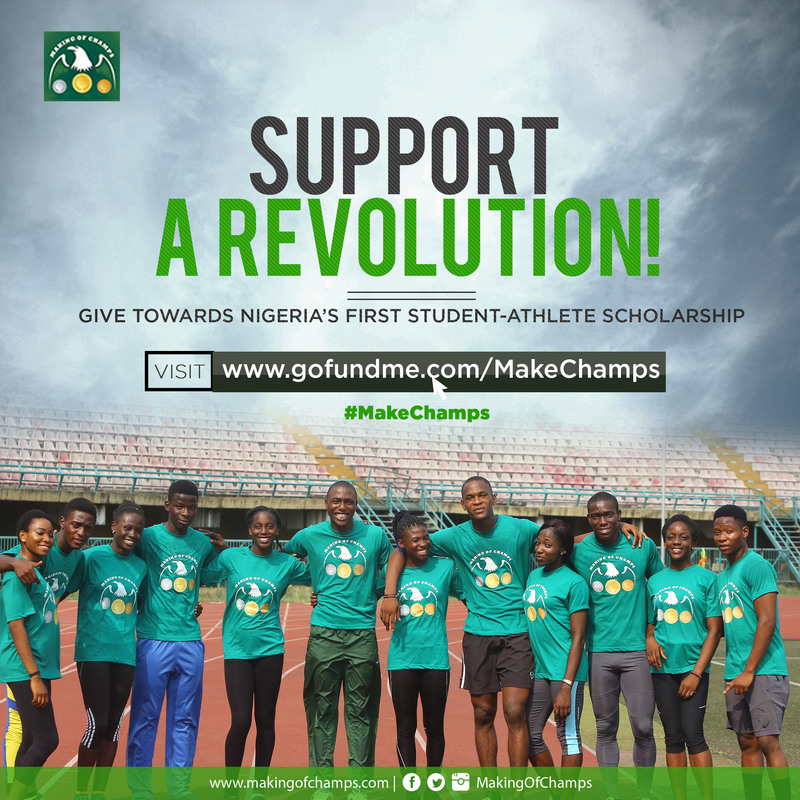 A similar plot played out in the women’s final, as UNILAG’s Yakubu upgraded the Silver medal which she won the 100m to GOLD in the 200m. 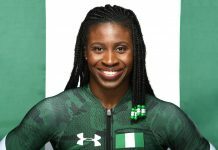 Unlike the 100m where she had to claw her way to win Silver, this time around, Yakubu was in control of the race from start to finish, holding on to win after a late surge by UNIPORT’s Praise Idamadudu who had to settle for the Silver. 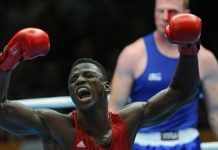 Yakubu set a new Personal Best (PB) of 23.92 in the process, while Idamadudu finished five hundredth of a second behind. Latifat Ali of the University of Cape Coast (UCC), Ghana was 3rd in 24.41s. Less than 24 hours after winning the men’s 3000m final, Matthew Nantiere of the UCC added another GOLD to his tally in the men’s 1500m final, winning with a time of 3:57.19. Rita Kyere toed the path of her teammate as she claimed victory in the 1,500m final, crossing the line to win in 4:25.89. 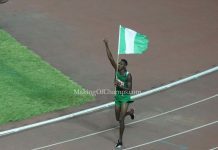 University of Uyo (UNIUYO) Comfort James, who beat Kyere to GOLD in the 800m some days back took home the Silver medal. 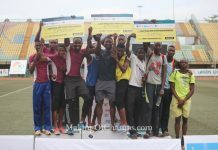 The relays brought down the curtains on a rather eventful day as the University of Development Studies (UDS) 4x100m men’s team beat Team UNILAG to victory, clocking 41.13s. 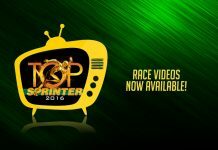 In the women’s category, Grace Nwokocha anchored Team UNIPORT to victory, as UNILAG placed 2nd in the race. 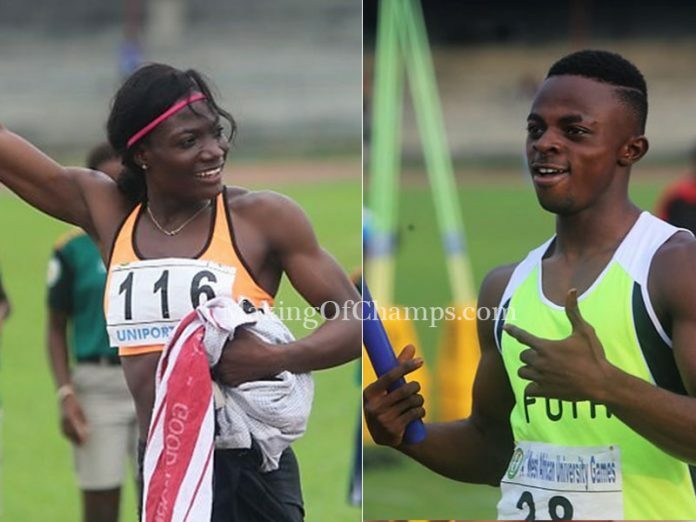 After finishing 1-3 in the men’s 400m, both Emmanuel Nimo and EtiamKwaku Torgbenu made sure the University of Ghana (UG) were the favorites to win the men’s 4x400m. 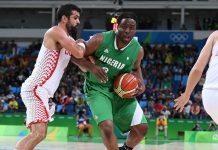 They didn’t disappoint, as they claimed victory in 3:12.87, while Team FUTA won Silver in 3:18.42. Team UNIPORT placed 3rd in 3:18.97. 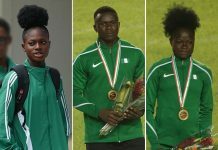 Finally, the quartet of Favour Ofili, Glory Patrick, Glory Nyenke and Praise Idamadudu were too strong for the field, as they stormed to victory in women’s 4x400m relay final, winning GOLD with a time of 3:39.99. 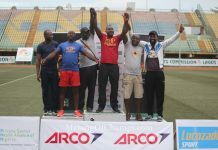 On the field, Lawrence Onyejiaka from the Nnamdi Azikiwe University (UNIZIK), Awka won the Javelin GOLD medal, landing the spear at a distance of 59.02m.